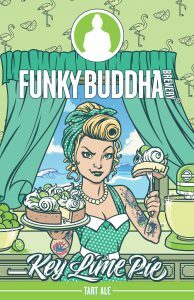 South Florida’s Funky Buddha Brewery is to the beer world what Willie Wonka was to the universe of confections – a place where culinary dreams become reality. 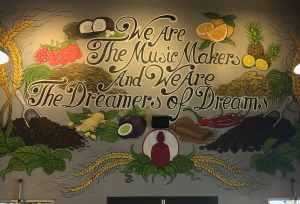 In a recent interview, Funky Buddha co-founders Ryan and KC Sentz say that they derive some inspiration from culinary sources, always looking for bold flavors from exceptional ingredients. Ryan says that he is fascinated by the flavor profiles of foods like these and he is always thinking about trying to make beers that taste like his favorite cocktails, pastries, or creations. 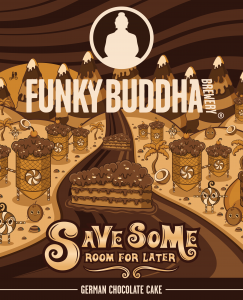 German Chocolate Cake: Save Some Room for Later (8.8% ABV) At the core of many Funky Buddha beers is the heart of a dessert-lover. Save Some Room for Later starts off as an imperial brown ale but gets layer upon layer of coconut and chocolate. This masterpiece of confection is best shared with friends or sampled with dark chocolate, as it contains multitudes of confectionery flavors. 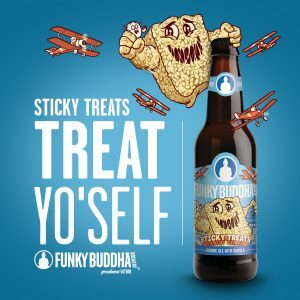 Marshmallow Squares: Sticky Treats (5.1% ABV) Funky Buddha did not stop with chocolate cake, another staple of childhood – the marshmallow square – also pours from Funky Buddha taps. This beer starts off with a blonde ale that contains rice and then has layers of vanilla for the sweet tooth. Four beers in a pack just might not be enough! 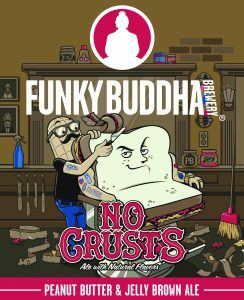 Peanut Butter and Jelly Sandwiches: No Crusts (6.4% ABV) Ryan says that No Crusts was the most challenging beer recipe on his tap list. Between balancing the blend of flavors and using the best ingredients, Ryan admits that No Crusts was an Everest that he had to scale. Once he got the blend right though, Ryan knew that he was on to something, and No Crusts has built a cult following, turning heads and amazing taste buds ever since. Key Lime Pie: Key Lime Pie Tart (5% ABV) This light(er) bodied beer continues the exploration of dessert flavors. The brewery adds key lime juice, cinnamon, and vanilla to a tart wheat beer and what emerges is the liquid version of the trademark Floridian tart treat. The only bad part of this beer is that it is only available in the summer season. 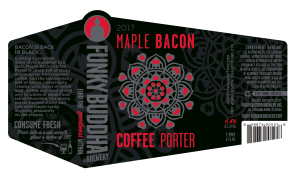 Bacon: Maple Bacon Coffee Porter (6.4% ABV) The beer that brought Funky Buddha Brewery its first national and international attention, according to Ryan. Maple Bacon Coffee Porter, or MBCP, fascinated beer drinkers with the layers of flavor in one glass and begged the question “how’d they do that?” This beer is released yearly at Maple Bacon Coffee Porter day at the brewery and usually makes its way into distribution around Florida. Which of these beers are you most excited to try? 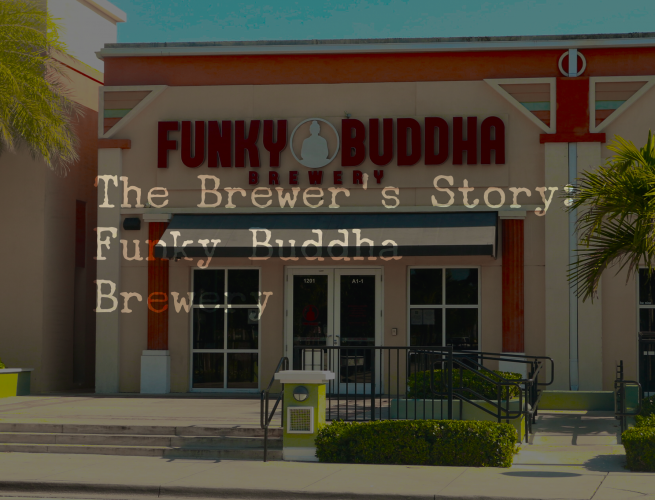 Head over to our Beer Page to find out more about the funky creations of this South Florida brewery! 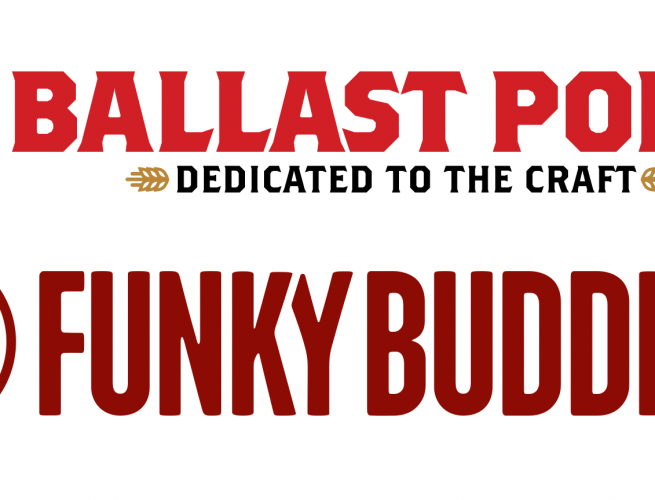 Team Cone is happy to welcome Funky Buddha Brewery and Ballast Point Brewing Company to their family of distributed brands.